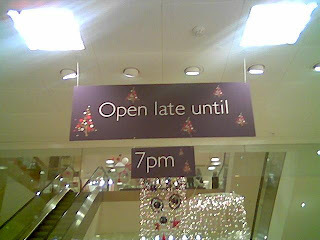 Yep, I live in a country wherein a 7.00pm closing time is considered late night shopping. 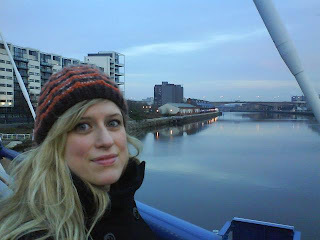 Paul took this photo as we walked across the mighty Clyde. Yeah, sure, "late night" shopping may be near to non-existent, but this city slays me; it's so beautiful, gritty, and just plain mental. Just cleared a metre of snow from my driveway this morning. The river behind you is flowing, not ice covered. 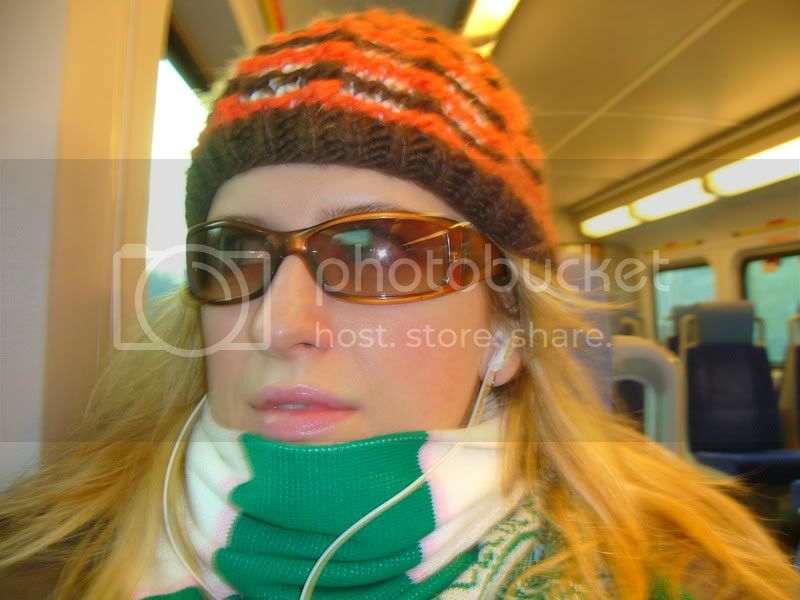 It is I who is mental for choosing to live in THIS country! Late night closing my arse. Just came back from the Dufferin Mall where proudly displayed on the Walmart was a banner which read "OPEN 24 HOURS"
At 9:10pm last night I was so excited to call and find that Linens N' Things was open until 11pm. Woo Hoo! Walmart is open 24 hours? Love it! I miss late night shopping. You know what else I kinda miss? "Michaels" - yes, I am sad! Now, The Bay and Zellers are open 24 hours until Christmas! !